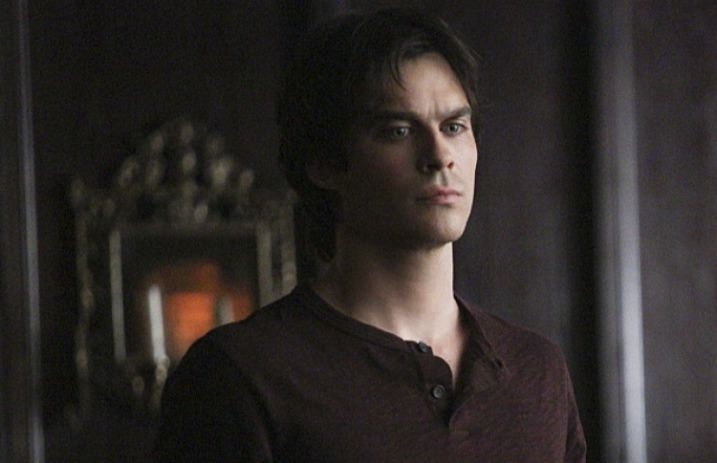 It looks like brooding vampire Damon Salvatore—aka Ian Somerhalder—is returning to the vampire world. A year after the end of The Vampire Diaries, Somerhalder has been confirmed to star in a new Netflix vampire TV series, V-Wars. As The Hollywood Reporter explains, the show is based on the IDW comic of the same name by New York Times best-selling author Jonathan Maberry, which follows the adventures of “Dr. Luther Swann, who enters a world of horror when a mysterious disease transforms his best friend, Michael Fayne, into a murderous predator who feeds on other humans. Somerhalder will be playing Dr. Luther Swann, and it looks like he'll be able to channel a little bit of his Damon Salvatore vampire knowledge for the role. Excited? Yeah, we are too.